I don’t know who the people in the photo are – please add a comment if you can identify them. Yes, the cameraman is Keith Froggatt. 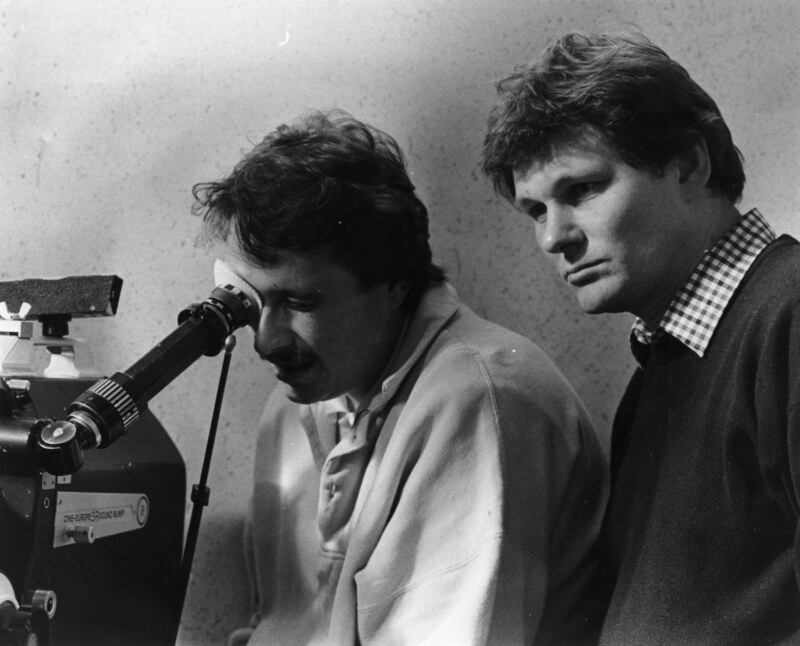 The director (next to him) is Stephen Whittaker – who sadly is no longer with us. The play they were shooting was almost certainly ‘Lovebirds’, which I edited. Thanks very much for that information – I’ll update the post accordingly. Hope you’re well – what are you up to at the moment?